LOUISVILLE, Ky. (WDRB) -- Louisville's "Triple Crown of Running" began on Saturday with the Anthem 5K Fitness Classic. The event started at 8 a.m. at the corner of South Brook Street and East Market Street. Runners went south on South Brook Street, west on East Chestnut Street, and eventually made their way back north on South Ninth Street and South Fifth Street. 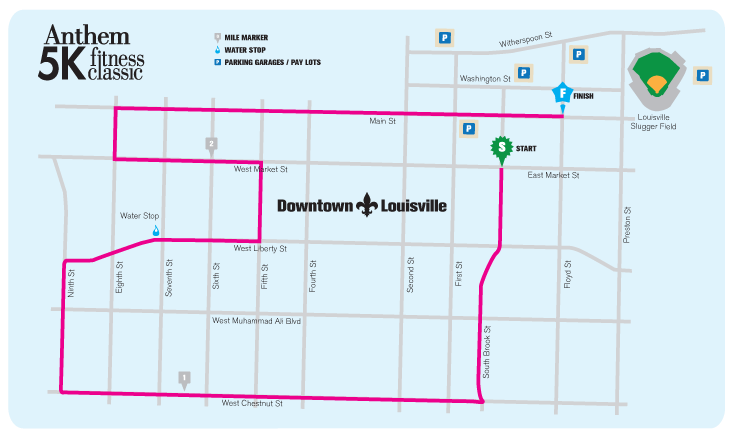 The 3.1 mile race ended on Main Street near Slugger Field. The top finishers for women and men were both hometown competitors. Flannery Musk topped the women and Edwin Kibichiy finished first overall. The second and third legs of the Triple Crown are March 9 and March 23.